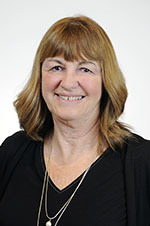 Diana L. Stephens, Ph.D. is an Associate Professor and the Coordinator of the School Counseling PPS Credential Program in the Graduate School of Education at California Lutheran University. She serves on the President’s Diversity Council and is a member of the Faculty Inclusivity Task-Group. She is a certified Family Life Educator and a Resiliency Trainer. Her collaborative work in K-12 schools and as a counselor-educator in higher education is preceded by her experience in clinical counseling, administration, and consultation in the non-profit sector. Throughout her career, she has been involved in issues of diversity, cultural inclusion, and social justice. She serves as a consultant in educational and organizational communities, conducts professional development workshops, and facilitates collaborative partnerships in co-co-creating culturally inclusive environments. She is guided by the belief that understanding diverse perspectives and honoring the cultural heritage of all humankind is essential in achieving personal and organizational success.